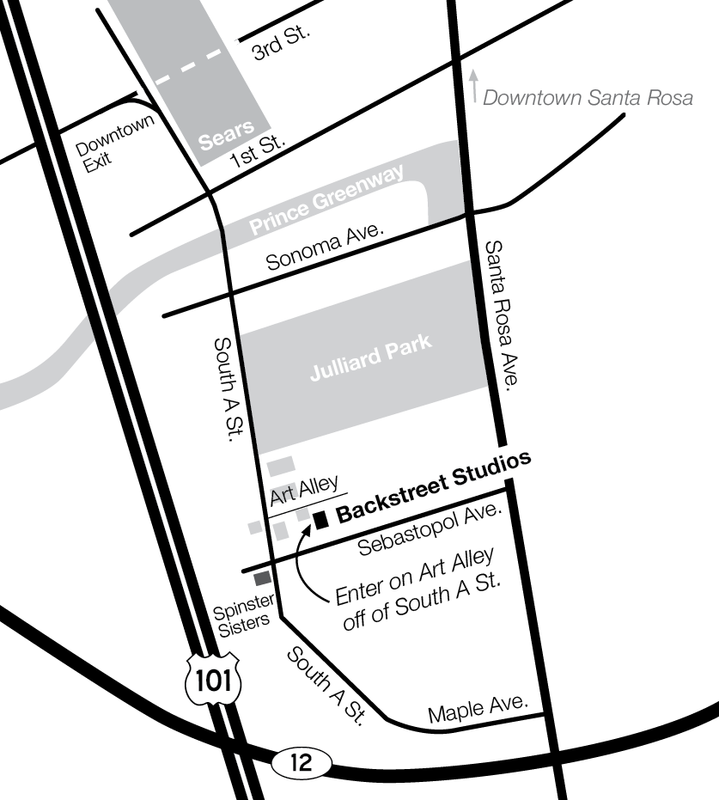 The Backstreet Gallery and Studios is located in the SOFA (South A Street) art neighborhood of Santa Rosa, California. SOFA is a community of people who care about art and the power of the creative process. Over the past 20 years, the neighborhood has grown into something unique and wonderful, largely due to a core group dedicated to the exploration of art and culture. This community has been built by a combined wealth of knowledge and interest paired with meaningful gestures of kindness. For more information on the restaurants, galleries and forty other artist studios in this neighborhood, go to sofasantarosa.com. To learn about upcoming SOFA events like ArtWalk, WinterBlast or First Fridays, go to the SOFA FaceBook page. which is walking distance from Spinster Sisters restaurant.